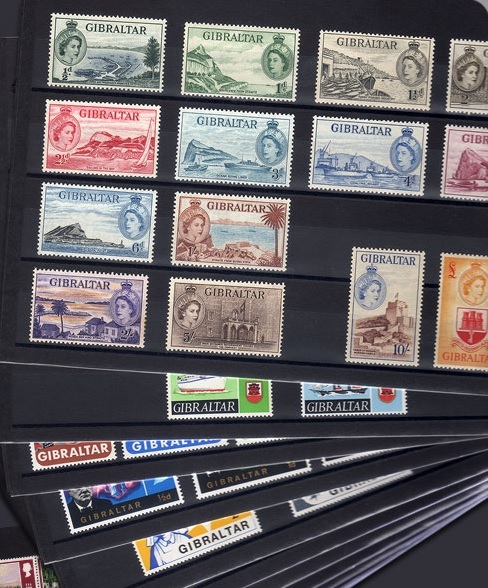 If you have ever thought of having an impressive collection of Gibraltar stamps but never had the time, money or chance to do it, this is the best opportunity you will ever have at the best price. This magnificent collection contains all the Gibraltar Queen Elizabeth II stamps & miniature sheets in unmounted mint condition (perfect conditions) issued from the years 1953 to 2012. It has a Stanley Gibbons catalogue value of £2,500+ and it is presented inside 5 albums. Every issued stamp and miniature sheet is included.